In this kit you will receive everything (except fabric!) 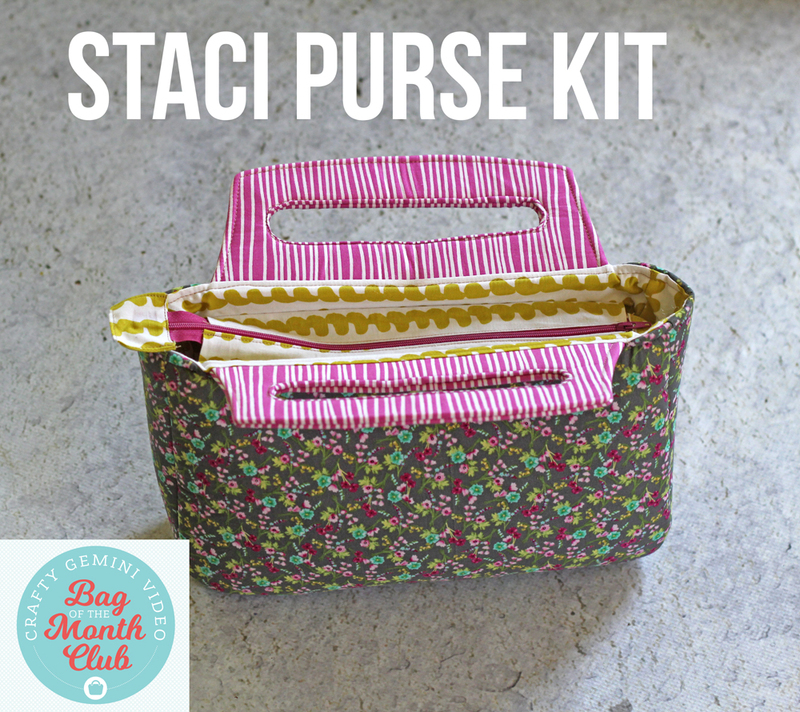 you need to make the Staci Purse in August 2016 as a part of the CG Video Bag of the Month Club. You must be a member of the Bag of the Month Club to access the course videos. Purchasing this kit alone will give you access to the video course. Save $6 off the retail cost of all these supplies by purchasing this kit! Kit does NOT include fabric. 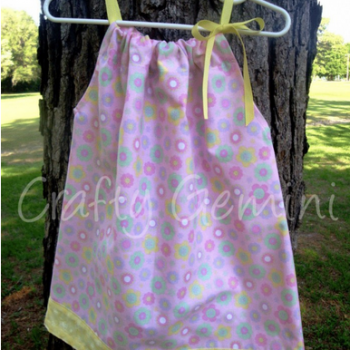 Fabric requirements will be listed when class goes live on August 1st. Hi Tracy. 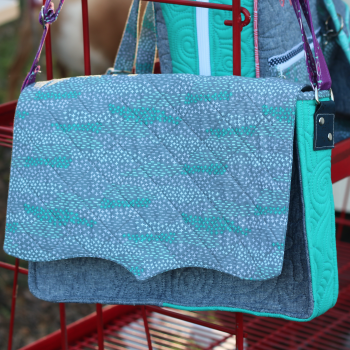 The bag patterns & video courses will be sold individually after Jan. 1, 2017. So, if you don’t mind waiting that long it will be available for you then. Thanks for your interest! Hi, I didn’t understand if this kit includes the tutorial video as well :)? Hi there. No. 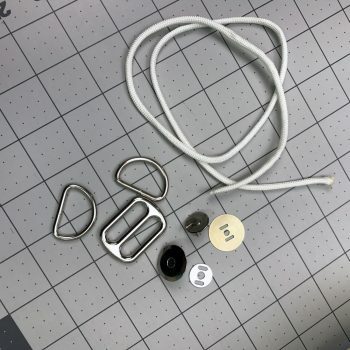 This kit is just for the materials you need to complete the first bag. You need to be a Bag Club member to really put the kit to use. But the kit is a stand alone product for those people who do not have the materials or can’t get them. It’s just an option that some choose to take advantage of. Does the kit includes the handles? I do not see them listed but it states everything but fabric. Hi Anna. You will make the handles using a stiff stabilizer that is listed in the kit. I provide a cut that is large enough for the cuts needed to create the handles. Hope that helps! Will the printed pattern be included in the kit? Hi Jean. No. 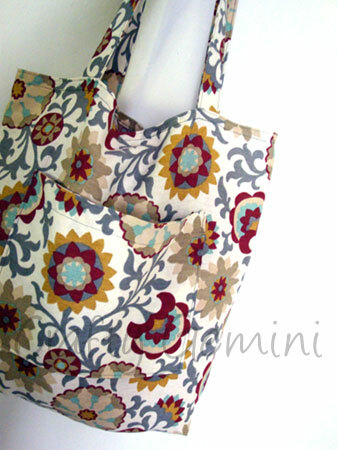 The printed pattern will not be included. This kit is only the supplies (minus the fabric) that you need to follow along with my course in the Bag Club starting on August 1st. The pattern will be available to Club members as a downloadable file for you to print at home. 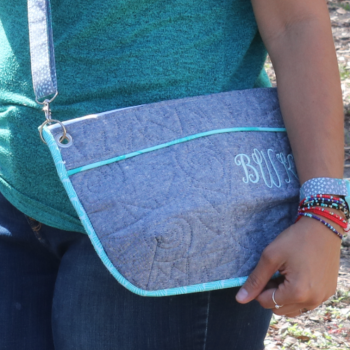 Hi Vanessa – I’m so excited to get started on this purse! Would you be able to please list the fabric requirements so I can be ready to work on it when the video is released? Thanks! Looking forward to these bag tutorials. You always talks with confidence and enjoys what you are doing! Gonna have fun! Be blessed! Hi. I am understanding that you pay the $60.00 then you buy the kits each time? Yes. 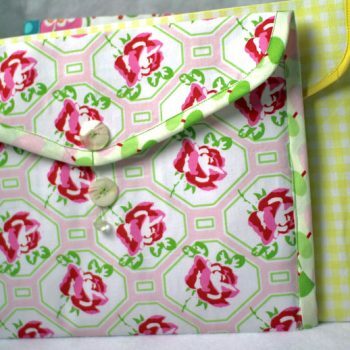 $60 is the early bird sale on the 5 handbag patterns & video courses. The kits are optional and will be available for each bag each month. I’m I understanding that I can sign up for the club,and Not have to buy the kits every month? I might be able to purchase the pdf in January 2017? I must say, I like that all of the parts and pieces are here and I only provide the fabric. So much easier for me to get organized! This is also a great way to use a few brands I don’t have already. Watched the Video’s, you make it look easy and fun. Just signed up for the bag of the month, but kit is out of stock. When will it be available? Hi Sylvia. Thanks for joining the Club. We have added some more to the inventory. Try to purchase it again and it should go through for you. Thanks! Hi Michelle. The bag courses and kits are sold separately. If you’d like the kit as well as the course you can purchase it here: http://craftygemini.com/shop/staci-purse-kit/ Hope that helps!